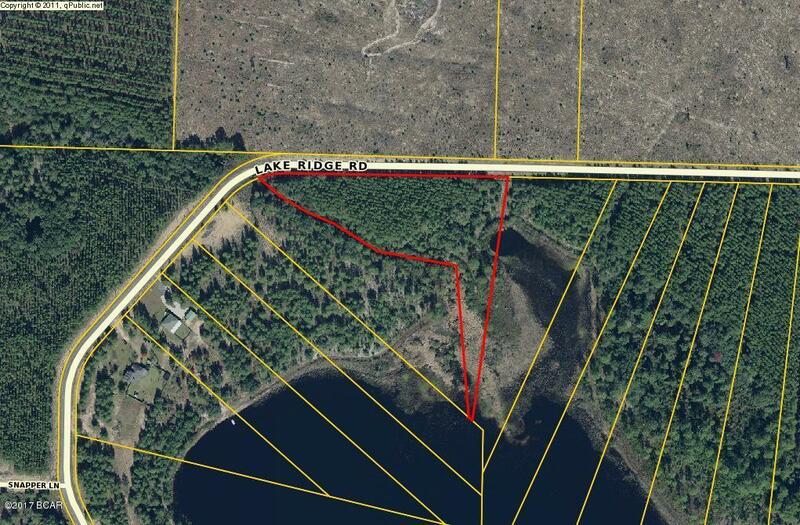 Beautiful 5 acre Waterfront Lot in Long Lake Estates. Private Gate, Beautiful area for your Dream Home or Getaway! No mobiles, 800 sq ft minimum. Great View, High on Bluff. Ready for your new plans. Owner Finance with approval and with down payment at full price. Listing provided courtesy of Thompson Trust Realty Inc. Listing information © 2019 Central Panhandle Association of Realtors MLS.